Exclaimer’s email signature management solutions allow you to centrally design and manage signatures for all users in your organization. Maintain total control over all signatures with consistent branding, marketing content and more. Exclaimer Cloud - Signatures for G Suite is the premier cloud-based solution for centralized Gmail signature management. Design and manage all users’ G Suite email signatures via an easy-to-use web portal. 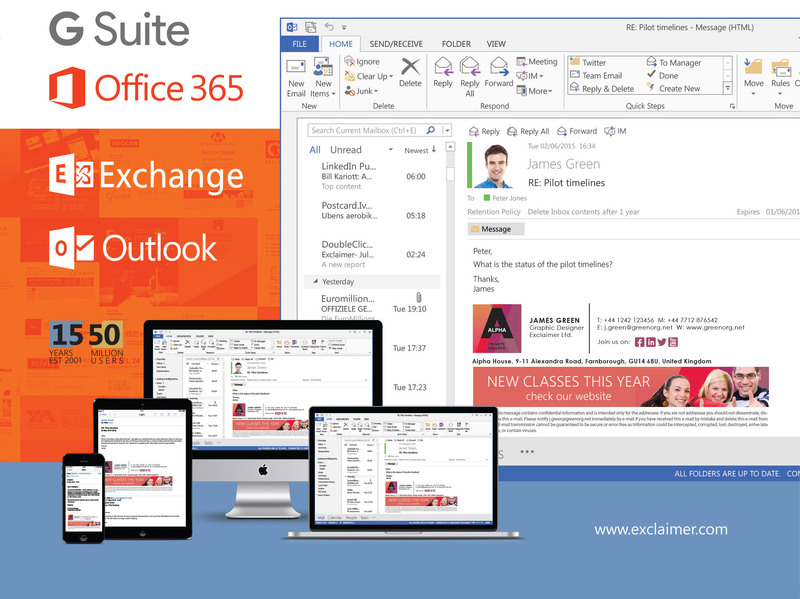 Exclaimer Cloud – Signatures for Office 365 marks the new standard for designing professional email signatures for Office 365. 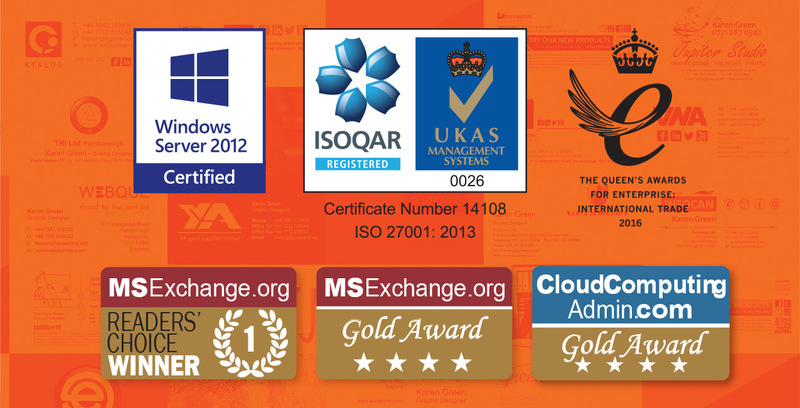 Exclaimer Signature Manager Exchange Edition is the award-winning signature software solution for Exchange 2016, 2013, 2010 and 2007 that automatically adds professional email signatures to all corporate mail, even on mobile devices. Exclaimer Signature Manager Outlook Edition allows for distribution of email signatures directly to an end user’s Outlook client. As a result, it adds signatures to Outlook and OWA, letting users choose their signature as they type their message. Thank You for Enquiry. We wil back to you Soon.